What happens to legacies that do not find any continuation? In Estonia, a new generation that does not remember the socialist era and is open to global influences has grown up. As a result, the impact of the Soviet memory in people's conventional values is losing its effective power, allowing for new opportunities for recuperation. Francisco Martinez brings together a number of sites of interest to explore the vanquishing of the Soviet legacy in Estonia: a street market in Tallinn where concepts such as "market" and "employment" take on distinctly different meanings from their Western use; Linnahall, a multi-purpose venue, whose Soviet heritage now poses difficult questions of how to present the building’s history; Tallinn’s cityscape, where the social, spatial, and temporal coevolution of the city can be viewed and debated; Narva, a city that marks the border between the Russian Federation, NATO, and the European Union and represents a place of continual negotiation; and the new Estonian National Museum in Raadi, an area on the outskirts of Tartu that has avoided promoting a single narrative of the past. 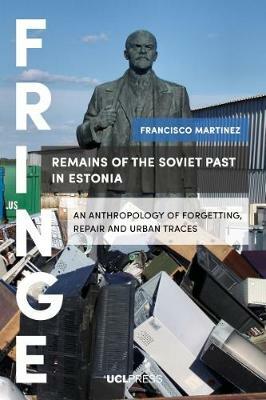 By exploring these places of cultural and historical significance, which all contribute to our understanding of how the new generation in Estonia is not following the expectations and values of its predecessor, the book also demonstrates how we can understand generational change in a material sense.